Yes was a mavilous group with music. Yes is the greatest band ever when it comes to interesting, complex and unpredictable musical chops. You simply can't predict how one of their songs will go. It's impossible! I believe the Yes Album is where the band finally came into its own, and gave the world something that we will never be given again. The nearly 7-minute "I've Seen All Good People" probably features some of the greatest vocal melodies and guitar playing of the bands entire career, and that's really amazing considering Yes have been on the music scene for nearly 40 years. The moment the songs speeds up IS the greatest thing ever. I have personal reasons for liking "Starship Trooper". The instrumental part at the end reminds me of the look in everyones eyes that had died, and makes me wonder if, somewhere out there, those people are watching me on earth. At the very end of the song when the guitar comes in, that's the stuff there, man. That's the STUFF! Yes is clearly not a band for everyone, but they're for me, and I'm happy about that. "The Yes Album" marked the pinnacle of Yes' career. While follow-up releases were often self-indulgent or boring, "The Yes Album" contained a number of great songs that showcase the superb musicianship of the band. To classify it as "progressive rock" is a mistake. 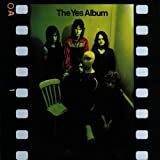 "The Yes Album" explored a number of different musical genres -- from jazz to country -- that the band would never again, unfortunately, particularly with the subsequent arrival of Rick Wakeman, Alan White, Trevor Rabin et al. Throughout "The Yes Album," Steve Howe's guitarplaying was melodic and diverse. Bill Bruford's drumplaying was outstanding. Chris Squire's bassplaying was thunderous. Each is evident in songs like "Starship Trooper," "A Venture" and "Perpetual Change." After working with an orchestra on Time and Word (1970) and parting company with former guitarist Peter Banks, Yes joined forces with staggering virtuoso guitarist Steve Howe and took a massive leap forward into the world of full blown prog. Although I do not wish to offend Peter Banks fans, I just really appreciate Steve's playing more and feel that he brought a great deal to Yes. The Yes Album (1971) shows the classic Yes group sound starting to take shape, which would come to full and glorious fruition one year later with Close to the Edge (1972). The Yes Album however stands as their first creative (and yes, commercial) success. The musicians on this album include Jon Anderson (vocals; percussion); Chris Squire (Rickenbacker bass; vocals); Steve Howe (acoustic and electric guitars; vachalia; vocals); Bill Bruford (drums; percussion); and Tony Kaye (Hammond organ; piano; and mini-moog). This would be Tony Kaye's last album with Yes and would be replaced by none other than the keyboard wizard himself Rick Wakeman on the follow-up album Fragile (1972). With most of the classic lineup in place, the level of the musicianship on The Yes Album went up as did the quality of the pieces themselves. In spite of this, The Yes Album is still just a very sophisticated rock album, without necessarily being progressive in the sense that Close to the Edge and Relayer (1974) were progressive. The six tracks on the album range in length from 3'03" (Steve's acoustic solo piece Clap) to 9'23" (Starship Trooper). Starship Trooper really is a fantastic piece and as I recall, brought the record into the after school jazz band rehearsal to share my love of Starship Trooper with everybody else. One of things that I like about this track is the level of emotion that it imparts. In fact that is what a lot of Yes music was about - sweeping emotion - a property that is featured to varying degrees on all Yes albums right up until 1977 or so. Steve's acoustic solo piece "Clap" is also excellent and was recorded live (the bonus tracks include the studio version which is just as good). I guess it's worth noting that somebody added a "The" onto "Clap" and Steve has had to deal with that embarrassing title to this day. Fortunately Rhino had the good sense to correct this. Perpetual Change is a great piece along with the underrated A Venture, which features some excellent playing by Chris. In fact, his solo consists of simply adjusting the pickup switch to shift from the warmer sound of both the "treble" and "bass" pickups (I am not going to go into detail about string length and frequency) to a sharp and trebly sound using just the treble pickups. Although simple, it is incredibly effective. This remastered and expanded album by Rhino is simply excellent. It features well-written and insightful liner notes by Dr. Bill Martin (Philosophy/DePaul University)(his book Music of Yes: Structure and Vision in Progressive rock is superb) and loads of band photos. The bonus tracks are OK and include a few single versions along with the studio version of Steve's acoustic guitar solo piece Clap. Rhino does it again! Eargasms! I've heard the The Yes Album's major works presented on other CD collections -- like their earlier non-Rhino box set, but Rhino's careful remastering has taken the songs to a new level of clarity. Everything -- voices, guitars, drums, keyboards, and especially Squire's bass -- sounds more detailed and at the same time more meaty, rich, and beautiful. More subtle harmonics unmasked for all to enjoy -- the sounds of fingers on strings, the Sting-like breathiness of Anderson's voice. The band's musicianship is revealed as better than previously heard -- tighter, more harmonious. Well, except that Howe's guitar solo at the end of Starship Trooper is still completely lacking in elegance and vaguely out-of-sync with the background drone of the band. Oh well, everyone has a bad day. Back in the 70s I thought this album was rather primitive to the virtusosity and style found in the later ones. I had the vynil edition form atlantic, the photo was dated even back then and its one of those albums not with the artistry in cover design that mades tem legendary too. The gold medal for Yes albums goes to "Fragile" but "The Yes Album" is the second best of the Yes albums I've heard. I enjoyed a fair amount of prog-rock in its day (and still do) and will readily concede that a lot of prog-rock wasn't particularly accessible to the broadest audience, nor was that its intention. But "The Yes Album" and "Fragile" were crafted in such a way as to enjoy broad appeal without compromising the integrity of the music. If you listen to the samples you'll probably recognize a couple of the songs. Several of them are also included in live albums like "Yessongs" that offer a 'greatest hits' type of appeal but I'd cast my vote for the clarity and production values of the original album. Tomo un respiro muuuuuy profundo, me recuesto pensativo y voy girando sobre m¨ª mismo, tonteando, meditando, retrasando lo m¨¢s que se pueda el momento. Qu¨¦ momento. Revisar a Yes. Quiz¨¢ les suene exagerado a algunos, pero considero que esto es lo m¨¢s dif¨ªcil que me tocar¨¢ escribir en la p¨¢gina; este es el momento que quer¨ªa que nunca llegase, que postergu¨¦ durante tanto tiempo. Pero ten¨ªa que llegar. Maldici¨®n. ?Por qu¨¦ tanto capricho y tanta alharaca? Ver¨¢n, Yes es una banda que ME LIMA LA CABEZA, y no lo digo ni en el buen sentido ni en el malo. Lo digo en un sentido neutro. Siento que es m¨¢s de lo que puedo absorber, siento que, no importa todo lo que escuche, no puedo formarme una opini¨®n definitiva. A veces escucho a Yes y pienso: "qu¨¦ tipos geniales, que visi¨®n, que originalidad, que locura", y otras veces pienso: "que tremendos in¨²tiles buenos para nada". A veces creo que estoy ante la mism¨ªsima cumbre del rock progresivo, otras veces tengo ganas de agarrar todos sus discos, pisotearlos y echarlos a la hoguera. Soy, para decirlo de alguna manera, la arena donde deliberan en peque?a escala el amor y el odio apasionado que el p¨²blico general expresa con respecto a esta banda. Porque es as¨ª: a Yes se lo ama con locura o se lo odia con sim¨¦trica pasi¨®n. Como que no hay t¨¦rmino medio. Ni siquiera yo soy el t¨¦rmino medio; por momentos los amo con locura, y por momentos simplemente no puedo soportarlos. Esta maldita banda me vuelve ESQUIZOFR¨¦NICO. La sensaci¨®n que hasta ahora he exprimentado con Yes es la de una tremenda FRUSTRACI¨®N. Es como si de pronto me mojaran la oreja con peque?os mordiscos de sublime calidad; ah¨ª me restriego las manos y pienso "Waw! esto va a estar bueno", pero despu¨¦s los tipos disparan para cualquier lado inesperado, dej¨¢ndome exhausto, desorientado, con la sensaci¨®n de que no he recibido todo lo que mi organismo necesita y que en su lugar me han vendido una sarta de delirios incre¨ªblemente rebuscados sin punto de partida ni de llegada. La m¨²sica de Yes es enfermiza, ca¨®tica, desordenada. No s¨¦, simplemente no s¨¦. Nunca jam¨¢s le dir¨ªa a nadie que Yes est¨¢ entre mis grupos favoritos, pero despu¨¦s vuelvo a sus discos y recuerdo que Fragile es excelente, que Close To The Edge es una obra ¨²nica y exuberante, que The Yes Album es completamente maravilloso. Y entonces ?COMO ES POSIBLE? ?C¨®mo es posible que los ¨¢lbumes me fascinen tanto pero siempre tenga un dejo de rencor en la boca al hablar de esta banda? No tengo una respuesta demasiado coherente. Y es por esto es que tanta FIACA me daba ponerme a trabajar en estas rese?as. ?C¨®mo les explico a mis queridos lectores las sensaciones encontradas, ambiguas, que me provocan Jon Anderson y su pandilla de enfermos pretenciosos incurables? Tratar¨¦ de hacerlo lo mejor que se pueda, pero no esperen demasiado orden. Estas revisiones ser¨¢n an¨¢logas a la m¨²sica de Yes; ser¨¢n un pasticho de reflexiones que se dispersan para cualquier parte y nunca encuentran un lugar d¨®nde encajar. Es mi forma de vengarme (JA!). Bien, basta solamente un somero repaso informativo para concluir que, t¨¦cnicamente hablando, Yes es la banda m¨¢s impresionante que jam¨¢s haya pisado los p¨¢ramos del Planeta Tierra. ?Chris Squire? Un bajista de la reput¨ªsima madre que pod¨ªa hacer virtualmente TODO con cuatro cuerditas de mierda; ?Steve Howe? un guitarrista virtuoso, cl¨¢sico, compositor sublime de intrincadas melod¨ªas ac¨²sticas que un guitarrista com¨²n no podr¨ªa ni SO?AR con tocar; ?Rick Wakeman? Un pianista fuera de serie, un lun¨¢tico que pon¨ªa la mano sobre el teclado y ya sonaban cascadas de inimaginadas sensaciones; ?Bill Bruford? Un grosso, el Beethoven de la bater¨ªa, un tipo que tira cualquier cantidad de estructuras, improvisaciones, toqueteos sin perder el ritmo una puta vez. ?Jon Anderson? Ahhh, no me gusta realmente mucho, pero el flaco no tocaba nada, as¨ª que no cuenta. Y solamente estoy hablando de la formaci¨®n cl¨¢sica. ?Estamos ante un maldito DREAM TEAM de la m¨²sica! Mi lista de m¨²sicos preferidos incluye A TODOS ELLOS. ? ?Y Yes no est¨¢ entre mis bandas favoritas!! Pero bueno, ah¨ª est¨¢ el problema. Es un DREAM TEAM. Es casi un supergrupo, un conglomerado de grandes estrellas concientes de esa condici¨®n, y lo que hacen permanentemente destella virtuosismo por tonelada, pero pocas, muy pocas veces terminan de armar una unidad musical verdaderamente arm¨®nica, convincente de principio a fin. La m¨²sica de Yes suena como una violenta y permanente batalla entre los instrumentistas, cada uno tratando simult¨¢neamente de demostrar que es el mejor, que puede cortarse solo, que puede hacer las cosas BIEN complicadas si se lo propone. Est¨¢ bien, ese es el estilo y ciertamente los flacos suenan como ninguna otra banda lo ha hecho jam¨¢s, pero lo cierto es que en raras ocasiones esa tremenda complejidad que son capaces de lograr se traduce en valor de entretenimiento o placer genuino. Muchas veces se acercan, pero casi NUNCA logran poner mi persona en el ¨¦xtasis abosoluto que logran otros grupos de rock progresivo como Genesis o King Crimson. Es el concepto de lo que yo siempre llamo "virtuosismo vac¨ªo", esa m¨²sica que me provoca decir: "Bien, b¨¢rbaro, sos un capo tocando, ?Pero pod¨¦s hacer que adem¨¢s de complicado suene INTERESANTE?". En realidad, hay muchos pasajes musicales de Yes que son interesantes en serio (no son Steve Vai, por suerte), pero tambi¨¦n hay muchos, demasiados, en los cuales parece que lo ¨²nico que quieren es irse al carajo con la complejidad y si sale algo interesante de escuchar o no, es solo cuesti¨®n de suerte. Muchas veces Yes termina sonando como una sucesi¨®n de garabatos virtuosos ESTUPIDOS que no van a ning¨²n lado; fuerzan la m¨¢quina, se quieren hacer los capos y terminan sonando FEO y TORPE. A veces amenazan con tener una buena idea pero no terminan de desarrollarla y saltan de golpe con cualquier otra cosa inesperada que no suena del todo bien. Otras veces se extienden demasiado tiempo sobre ideas musicales que no valen nada y que solo irritan. Alguno dir¨¢: "Claro, pero es avantgarde puro, experimentalismo m¨¢ximo"... Y yo digo: puede ser, pero la cosa no termina de cerrar una sensaci¨®n de vanguardismo experimental muy convincente como pasa, por ejemplo, con el Pink Floyd temprano o The Velvet Underground. Simplemente parece m¨²sica que quiere cautivar pero que FALLA. Para m¨ª el rock progresivo es un g¨¦nero que ante todo estimula la imaginaci¨®n, estimula el arte, estimula el deseo art¨ªstico que las personas tenemos dentro... Yes muchas veces se queda corto en este sentido; muchos de sus pasajes simplemente no me seducen, se me hacen est¨¦riles, se me hacen vac¨ªos y me dejan insatisfecho. Pero me detendr¨¦ porque ya estoy dando una imagen negativa de la banda cuando en realidad me gustan, cuando en realidad disfruto sus mejores discos como cualquier otro. Solo quer¨ªa decir que con demasiada frecuencia sus virtuosismos me hacen sentir un vac¨ªo que me duerme el cerebro, pero cuando Yes llega a ser bueno es MUUUUY bueno. Yes, si se lo propone, puede ser atmosf¨¦rico, puede ser mel¨®dico, puede ser creativo, puede patear todos los culos que se les ocurra. Sus mejores discos est¨¢n bien construidos, ah¨ª la banda s¨ª funciona como un reloj aceitado de partes que se complementan. La coda de Starship Trooper, la intro de Heart Of The Sunrise, el intermezzo de South Side Of The Sky. Eso s¨ª que es impresionante, tanto como los mejores momentos de King Crimson o Genesis. Y adem¨¢s los tipos son ORIGINALES. O sea, ?D¨®nde m¨¢s pod¨¦s encontrar algo que suene as¨ª? ?As¨ª como? NO MAN! No se puede describir. El estilo de estos tipos es algo que o se escucha realmente o ni se intuye. Las canciones de Yes tienen una din¨¢mica impresionante; cambian permanentemente, no siguen ning¨²n patr¨®n fijo. Todo el tiempo te asaltan con algo nuevo. Mezclan estilos, rockean con ¨®rganos pesados, densos y guitarras ac¨²sticas, sacan riffs el¨¦ctricos totalmente heterodoxos que se hunden en una nube de voces arremolinadas, echan cortinas INFLADAS de sintetizadores en el medio, y sobre todo este pasticho est¨¢n las letras de Jon Anderson que son UNA LOCURA PRETENCIOSA SIN SENTIDO ALGUNO. Estos tipos son RAROS. Son MUUUUY RAROS. Son excelentes cuando quieren. Son unos completos hincha-pelotas cuando quieren. A veces en un nivel lo que escuch¨¢s parece absolutamente genial, en otro nivel como que le falta algo y en otro nivel te corroe los test¨ªculos. Por eso, por eso es dif¨ªcil abordarlos y dar un juicio definitivo. Si no te gustan los excesos grandilocuentes, no son para vos, desde ya te lo digo. Es prog rock, pero no se parecen ni a Genesis ni a King Crimson ni a nadie. Son Yes. Y como son Yes y nada m¨¢s, el amor o el odio por esta banda pasa por una cuesti¨®n de estilo. De si te gusta o no te gusta el estilo. Personalmente me gusta, pero no llego a SENTIRLO al 100%. Me fascina a veces, me aburre a veces. Es as¨ª, es una cuesti¨®n de piel. Puedo intentar desmenuzarlos, analizarlos parte por parte, pero eventualmente no le voy a poder negar JAMAS al fan de Yes que su m¨²sica no es EXCELENTE (cosa que s¨ª le podr¨ªa negar al fan de Metallica, por lo menos con mayor convicci¨®n) como no le voy a poder negar al es¨¦ptico que Yes es una p¨¦rdida de tiempo. El caso de Yes es tan aberrante, tan diferente, que es dif¨ªcil medirlos con la misma vara que se mide a otros grupos. Algo as¨ª como ocurre con Queen; es como que tienen su propio universo de las cosas, un universo que no tiene ning¨²n correlato en el resto del rock. Y as¨ª, Tales From Topographic Oceans puede ser una obra maestra o un completo fracaso. No seduce como, por ejemplo, Wish You Were Here, ?Pero acaso QUIERE seducir como Wish You Were Here? ?O m¨¢s bien quiere ser un manifiesto lun¨¢tico totalmente rompecocos, an¨¢rquico, de otro planeta? Es dif¨ªcil. Revisar y sacar conclusiones sobre Yes es dif¨ªcil. Dir¨¦ que mezclan de una manera inextrincable partes de virtuosismo muy vac¨ªo, muy retorcido y muy feo, y partes de genio progresivo supremo que no pod¨¦s juzgar ni comparar en base a nada que hayas escuchado antes. Amarlos, odiarlos, cada uno har¨¢ lo que le salga de adentro. The start of the classic Yes sound. With the exception of Tony Kaye, this album was the beginning for Yes' classic lineup, which was Jon Anderson, Steve Howe, Chris Squire (the best bassist I've ever heard! ), and Bill Bruford (and Rick Wakeman who would replace Tony on the keyboards on the next album). While a few lineup changes in the near future didn't really cause any severe problems (and that includes even when Jon was replaced), but this will always remain the lineup they're best known for. Many fans believe that The Yes Album was their first masterpiece. Well, I can't say for sure, since I also liked their debut, and I have yet to hear Time And A Word. But this album is great nonetheless, and definitely a masterpiece. The album opens up with Yours Is No Disgrace. While it's a bit too repetitive for my tastes, and while I personally don't think it can hold its own to future Yes album openers like Close To The Edge and The Gates of Delirium, it's still an awesome song, with great, obscure lyrics, and long soundscapes. I really don't care for the acoustic instrumental Clap; it's just Steve showcasing his talent on the acoustic guitar. However, the album really picks up Starship Trooper. It's easily my favorite off the album and one of my all-time favorite Yes songs. It's frantic, relaxing, spacy, [place adjective hear], everything I want in a Yes song. Then comes I've Seen All Good People, which is my 2nd favorite song off the album. It's also one of their most popular songs, right up there with Roundabout and Owner of A Lonely Heart. Tony Kaye (keyboards) gets to really shine here, especially near the end when his organ effect builds and builds until the whole song slowly fades out. Venture is mostly a keyboard song, dominated by Tony. While I think Rick Wakeman, who would come in after this album, was far superior (and you'd probably agree with me), he's still good. It's just not something I want to listen to every day like the others. Prepetual Change makes up for that song though. It's the 3rd best off the CD, as well as the jazziest and most melodic, and Jon's best peformance on the album. Like I've Seen All Good People, it keeps playing until it finally fades out. Thr lyrics are also great and fasinating. Listen. This beautiful music pre-dates the keyboard theatrics with Wakeman...it's my fave. The guitar solos come to life on "Disgrace". The piano tinkles on "Venture". The drumming is magnificent. Great after a hard day's work.